Next week's challenge, from listener Norm Baird of Toledo, Wash.: If you squish the small letters "r" and "n" too closely together, they look like an "m." Think of a common five-letter word with the consecutive letters "r" and "n" that becomes its own opposite if you change them to an "m."
If you know the answer to next week's challenge, submit it here. Listeners who submit correct answers win a chance to play the on-air puzzle. Important: Include a phone number where we can reach you Thursday, Sept. 8, at 3 p.m. ET. This is WEEKEND EDITION from NPR News. I'm Rachel Martin. What's a six-letter word for yeah, I know it's Labor Day weekend, but I don't want summer to end? D-E-N-I-A-L. Let's play the puzzle. 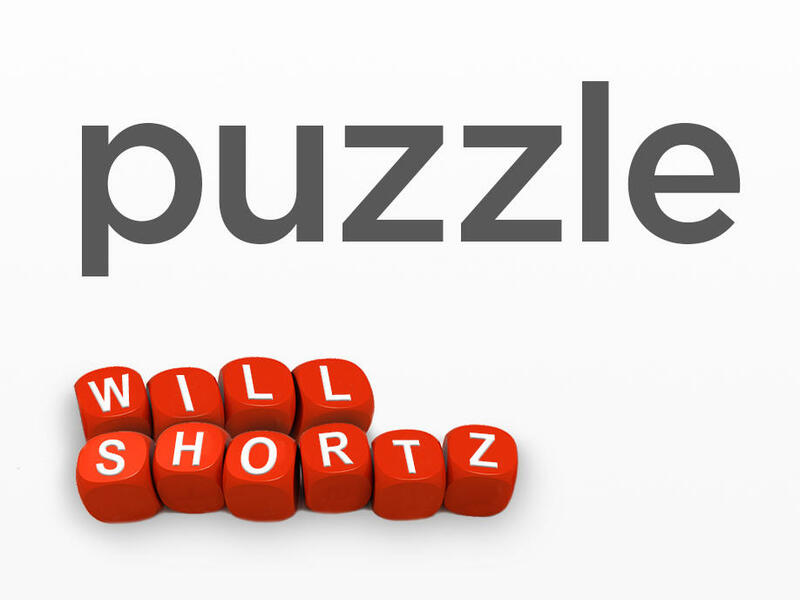 MARTIN: I'm joined by the puzzle editor of The New York Times and WEEKEND EDITION's puzzle master, Will Shortz. Hi, Will. MARTIN: Let's talk about last week's challenge. SHORTZ: Yes, it came from listener Sandy Stevens of Bandon, Ore. I asked, what one-syllable word in seven letters becomes a four-syllable word by inserting the consecutive letters I-T somewhere inside? And the answer is reigned, R-E-I-G-N-E-D, which becomes reignited. MARTIN: One hundred sixty people sent in the correct answer. Our randomly selected winner this week also just happens to be the first person who sent us the right answer. What are the odds? Dan Bradshaw of Farmington, Conn. - he's on the line now. Hi, Dan. Congratulations. DAN BRADSHAW: Hi. Thank you very much. MARTIN: How'd you figure it out? BRADSHAW: Reigned popped into my head 15, 20 seconds after hearing it. It just came to me. BRADSHAW: I wish there was more analysis that went into it. But there really wasn't. MARTIN: Do you do a lot of puzzles in Farmington, Conn.? BRADSHAW: Yeah. Puzzles, games, anything like that - I tend to do that whenever I can. MARTIN: And what do you do for a living there? BRADSHAW: I'm a high-school math teacher. MARTIN: Oh. So you're doing puzzles all day long. BRADSHAW: Yeah - in a manner of speaking, yeah. MARTIN: And have you been playing our puzzle for a long time? BRADSHAW: On and off for the last several years. If I'm in front of the radio at the right time, I like to listen. And this is actually the first time I've sent in a solution, though. So I was really, really surprised when I got that call yesterday. BRADSHAW: I didn't think that was going to happen at all. MARTIN: Beginner's luck - OK. So Dan, are you ready to do this? MARTIN: Let's play the puzzle, Will. SHORTZ: All right. Dan and Rachel, every answer today is a nine-letter phrase that's a palindrome. It reads backward and forward the same. For example, if I - certain floor models, four, five - you would say some demos. SHORTZ: Number one is entertains actress Thurmon - six, three. SHORTZ: Amuses Uma is right. SHORTZ: Number two is metal containers for peanuts, pretzels, et cetera - five, four. SHORTZ: Metal containers for peanuts, pretzels, et cetera. What would the metal containers be? SHORTZ: Snack cans is right. SHORTZ: Placed software for a Gmail competitor on one's computer - six, three. SHORTZ: Six, three - load is right. Put it in the past tense. SHORTZ: Loaded AOL was it. SHORTZ: Head of a feudal estate who has a curious sense of humor - five, four. SHORTZ: Yeah, that's the four. He has a curious sense of humor. SHORTZ: A droll lord. Hospital workers make a dash - six, three. SHORTZ: That's it. Exchanged paintings - six, three. BRADSHAW: Exchanged paintings - traded art. SHORTZ: Traded art. Headgear on a Polynesian island - six, three. BRADSHAW: Ah, geez. Headgear on a Polynesian island - Tahiti hat? SHORTZ: That's it. Angry with Eve's mate - three, two, four. BRADSHAW: Three, two, four - mad at Adam. SHORTZ: Mad at Adam is it. Cry of horror to a classic singer from Hawaii - two, two, three, two. BRADSHAW: Cry of horror - two, two, three, two. Cry of horror - so Don Ho at the end. BRADSHAW: Two, two, three, two. SHORTZ: So you got the three, two. BRADSHAW: Oh, no, Don Ho? Oh no, Don Ho. SHORTZ: Oh no, Don Ho. SHORTZ: And your last one, written recollections of the 2016 Olympics - three, six. BRADSHAW: Three, six - Rio memoir. SHORTZ: That's a Rio memoir. Good job. MARTIN: Dan - and that is very good puzzle playing. MARTIN: Pretty good at that. So for playing the puzzle today, you get a WEEKEND EDITION lapel pin and puzzle books and games. You can check out your prizes at npr.org/puzzle. And Dan, where do you hear us? What's your public radio station? BRADSHAW: WNPR out of Hartford. MARTIN: Dan Bradshaw of Farmington, Conn. - hey, Dan, thanks so much for playing. BRADSHAW: Thank you very much. Thank you, Will. MARTIN: OK, Will, what's up for next week? SHORTZ: Yes, the challenge comes from listener Norm Baird of Toledo, Wash. If you squish the small letters R and N too closely together, they look like an M. Think of a common five-letter word with the consecutive letters R and N that becomes its own opposite if you change them to an M.
So again, a common five-letter word with the consecutive letters R and N that becomes its own opposite if you change them to an M. What words are these? MARTIN: When you've got the answer, go to npr.org/puzzle and click on that submit your answer link. Just one entry per person, please. And our deadline for those entries is Thursday, September 8 at 3 p.m. Eastern time. Don't forget to include a phone number where we can reach you at about that time. And if you're the winner, then we call you. And then you get to play on the air with the puzzle editor of The New York Times. And he is WEEKEND EDITION's puzzle master - Will Shortz. Hey, Will. Thanks so much.